NBC is looking at a new Nancy Drew based show that would have a twist. Instead of focusing on the young detective it would make the writer of the detective series the main character as she finds herself thrust into a real mystery. She is forced to ask for help from her childhood friends whom she used as inspiration for her novels and have a major beef with how they were portrayed in the books. The shows logline - "When the author of the most famous female teen detective series is thrust into a real-life murder mystery, who does she turn to for help? Her two best friends from childhood, who were the inspiration for all those books, and the women who have a real ax to grind about the way their supposed best friend chose to portray them all those years ago." It sounds like a cross between Nancy Drew and Murder She Wrote. The project is going written by Tony Phelan and Joan Rater of Grey's Anatomy fame to write the series. The series will have Dan Jinks as an Executive Producer. 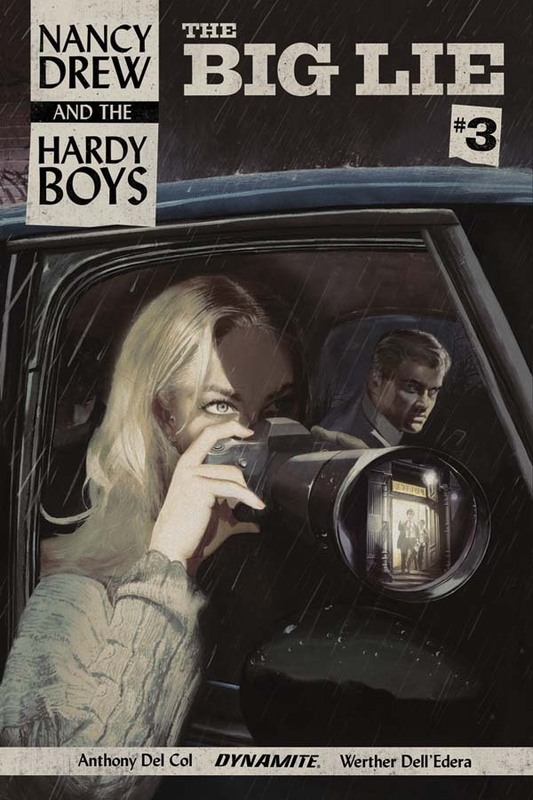 Nancy Drew has recently been appearing in a comic The Big Lie along with her teenage detective bretheren the Hardy Boys. The comic has is the latest place for Nancy to appear after appearing in TV, Film and many books.